ZSK launched their first ever 18 needle embroidery machine at the beginning of this year, and it now touring the UK with Stocks at the Print & Stitch roadshows! The ZSK Sprint 7 has been modified from the Sprint 6, with an extra 6 needles, totalling 18 needles on one head. With all of the power and craftsmanship from the Sprint range over the years, this latest machine is jam packed with top technology features straight from Germany, making it the best yet! With one of the industry’s slimmest tubular arms, a maximum running speed of 1200 stitches per minute, and a large embroidery area of 300mm x 400mm, the Sprint 7 is one of the leading industrial single head embroidery machines on the market today. 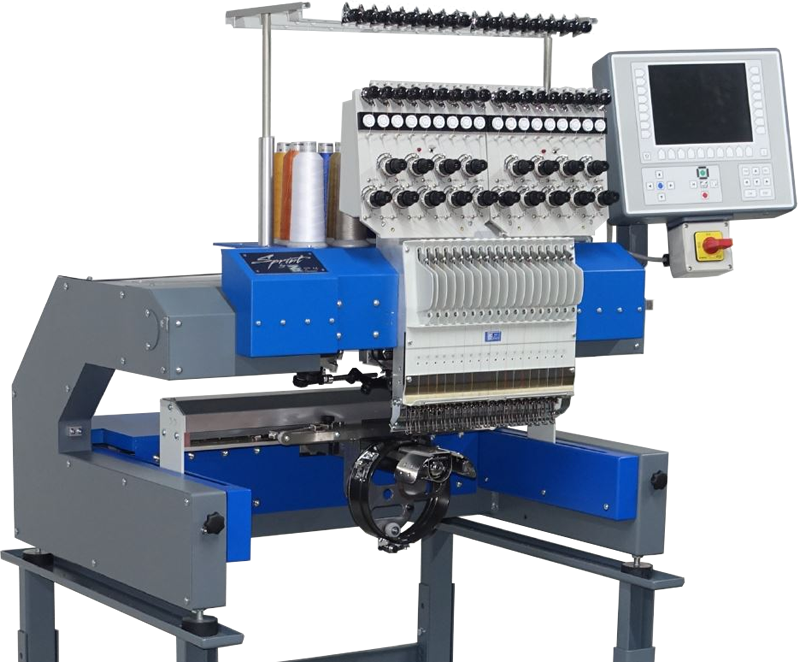 This machine is the perfect machine for those with extravagant designs requiring more than 12 colours, and those that embroider many smaller designs, but with less colour changing can allocate more designs to one machine. For more information about the ZSK Sprint 7, please contact Stocks on 0113 242 9378, or email enquiries@stocks.co.uk. Alternatively, register to attend your local show and see the Sprint 7 running and speak to the friendly sales team. They might even throw in an offer or two!